The main issue Fantastic Beasts has is that it’s not Harry Potter. Of course it’s still set in the same Wizarding World of J.K. Rowling’s creation, but it’s a different beast – if you’ll excuse the pun. We aren’t necessarily as invested in all of the characters yet, and it’s a different and darker style of story. It’s a little similar to the tonal shift introduced in Harry Potter and the Goblet of Fire, where the surroundings are similar but it all suddenly seems and sounds dissimilar. The other issue with The Crimes of Grindelwald in particular is that it’s a bridge film. 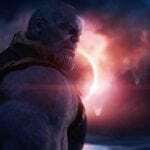 With three more films already slated for this series – and Rowling’s preference for tightly-woven, interconnecting plotlines that span decades – there’s a lot to pack in to one film (even one running at two-and-a-quarter hours). There’s also a lot of pieces to set on the board, ready for later action, and it’s this which sometimes seems to take precedence in the film, at the expense of further character development and action. A lot of questions are raised in The Crimes of Grindelwald, and it can only be hoped that they’ll all be answered satisfactorily in time (and the dramatic final 10 minutes of the film makes this a matter of some urgency!). 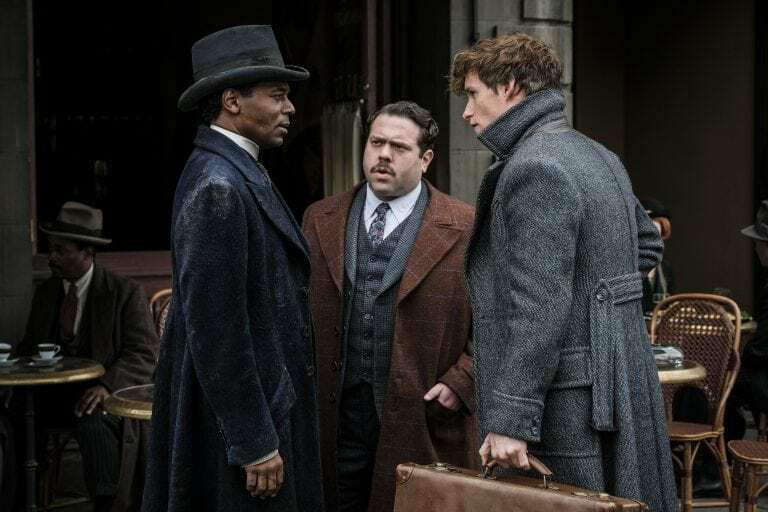 Having said this, a unique aspect to the Fantastic Beasts franchise is how the audience gets to see the film directly from its creator’s pen – there is no prism of interpretation as with the Harry Potter series. As the screenwriter, what you see is exactly what J.K. Rowling wants you to see. Tackling a different medium though, and Rowling is not quite as deft with multi-layered storytelling as she is within her books: there’s less room for nuance and hints and, unfortunately, more room to question apparent plot holes. 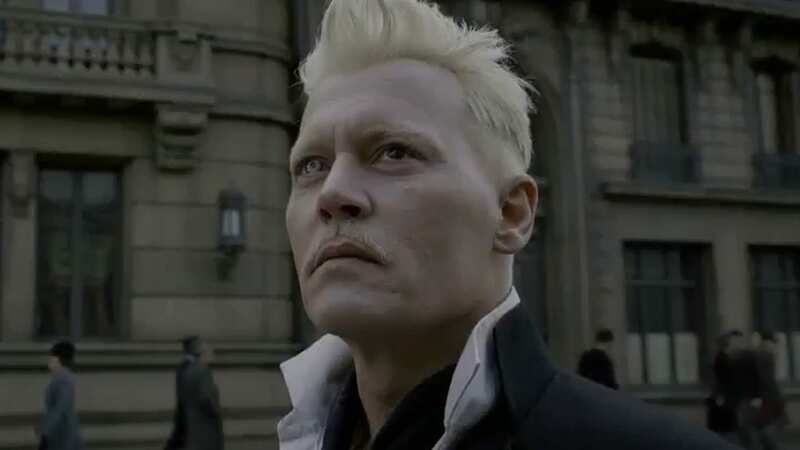 At the film’s beginning there is a sense of the use of magic for convenience with Grindelwald’s (Johnny Depp) escape, a hallmark of poorer products in the fantasy genre and not something usually related to Rowling’s work. Grindelwald is apparently just persuasive, which means he has convinced MACUSA officials to spring him from prison (also a little tired of the frequent use of Polyjuice Potion). It is impossible to escape from Voldemort comparisons too when Grindelwald is on the lose and in hiding with his cronies, busy calling his loyal followers back to his side. So far, so Death Eater. He is this Wizarding generation’s greatest evil, just as Voldemort becomes his. (Colour me intrigued though over how their two storylines may mirror and link before their eventual, deadly convergence.) There’s also a lot of Ministry-based action throughout the film, searching for archives just as important as the prophecy in Harry Potter and the Order of the Phoenix. Two major new characters introduced in The Crimes of Grindelwald are Leta Lestrange (Zoe Kravitz) and Newt’s brother Theseus Scamander (Callum Turner), who both work for the Ministry of Magic and are engaged (remember Newt mooning over her photo in the first film? Hmm). 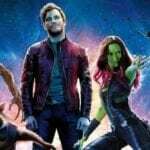 Although they are interesting characters, so much of their backstory is left frustratingly unexplored: Why is Theseus and Newt’s relationship somewhat strained? Why is Leta engaged to Theseus when it is her and Newt who were childhood friends? And why does Ministry hot-shot Theseus want to marry her when she is, for all intents and purposes, somewhat of a magical pariah? New character (well, as a human) Nagini (Claudia Kim) is no more than a bit of a spare part right now, as friend to troubled Credence (Ezra Miller). The only context given is that which is immediately apparent in the film: she and Credence meet at the circus in Paris, where Maledictus Nagini transforms at will as one of the acts. Again though, her presence suggests the promise of what will be an intriguing future meeting with Voldemort. Eddie Redmayne continues to be great as the awkward Newt, and the chaste attraction and misunderstandings springing up between him and derring-do Auror Tina (Katherine Waterston) give him all the more chance to be heartbreakingly endearing (the interaction between them in the French Ministry stacks is just perfect). It’s also fun to hear No-Maj Jacob’s (Dan Fogler) advice to Newt on how he should woo her, despite his own troubles with the vulnerable Queenie (Alison Sudol). 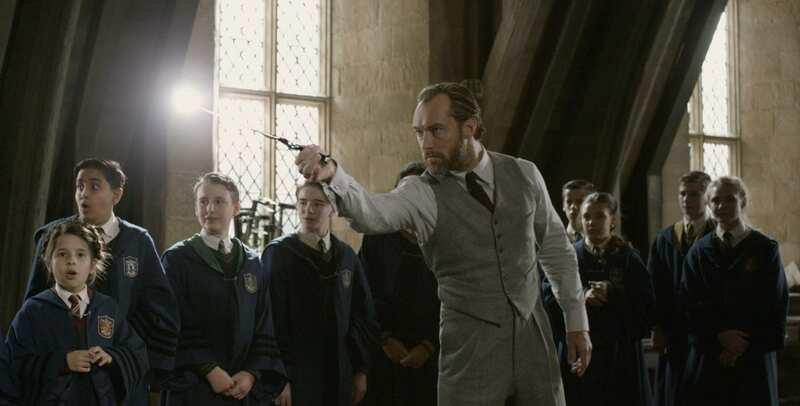 Jude Law and his fine beard make for a good young Dumbledore, although it does take some getting used to having a little more of the mystery surrounding Dumbledore peeled away. There are also some enjoyable cameos from a couple of other characters still alive in Harry’s day, as well as the introduction of Newt’s lovestuck assistant at home in London, Bunty (Victoria Yeates). She rather gleefully suggests that Newt should take off his shirt before diving in to the water to see to a Kelpie… Johnny Depp is convincingly unhinged as Gellert Grindelwald, complete with steampunk-esque stylings, but there’s a sense of him biding his time before he truly throws himself into his return. This is possibly no bad thing right now, considering Depp’s current personal and career implosion… Ezra Miller continues to keep things cloudy and conflicted with Credence as he searches for his family, hoping to carve an identity for himself based on those ties. Judging by the massive final act of The Crimes of Grindelwald for him, things are about to get a lot more clear cut! The Crimes of Grindelwald exhibits the exceptional production design expected from films based in the Wizarding World, with delightful twenties flair provided by Colleen Atwood’s costumes. James Newton Howard is on hand to provide the swirls and stirs of the soundtrack as per the last film, and it’s quite a special moment when John Williams’ iconic Hedwig’s Theme plays on the first glimpse of Hogwarts. The beasts, too, are of course impressive – and it may go as big as a Kelpie and a Zouwu – but it’s the baby Nifflers and Pickett the clingy Bowtruckle who continue to steal the show. 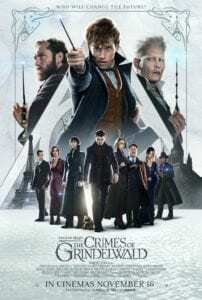 The final arc of The Crimes of Grindelwald is its most impressive, with three big plot developments arising in a matter of minutes, all of which promise major consequences not only for the characters involved but the entire trajectory of the next three films, as well as the history of the Wizarding World as a whole (and are worthy of an extra star). Although The Crimes of a Grindelwald might not be the strongest entry in this franchise, it promises exciting things for the future of the Fantastic Beasts canon.